The Nights Calling is the next incarnation for multi-instrumentalist Michael Guerra along with bassist J.R. Jasso and songwriter D.R. Pedraza, from his former self-titled band, MGB. Michael Guerra is back with a new band, The Nights Calling, and a new record to be released this summer. A Los Angeles native who moved to Texas at 18 to follow his musical dream, he has emerged as one of the top button accordionist in the world. 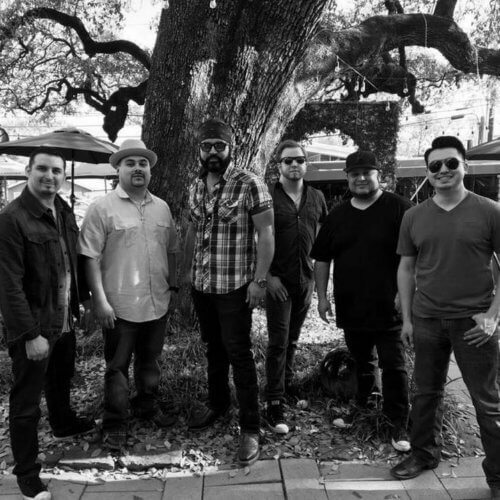 In between breaks from his gig as a member of the Nashville Grammy Award winning band, The Mavericks, he put together his new band featuring Junior Jasso (bass guitar), Will Owen Gage (lead guitar, vocals), Robert Casillas (bajo sexto, vocals), Armando Aussenac (drums) and Lauro Torres (percussion). After playing with such iconic bands as The Texas Tornados, The Sir Douglas Quintet II, Ruben Ramos, Rick Trevino and recording on albums with Los Lonely Boys and Phil Vasser (among many others), he met Raul Malo. Malo, who was the voice of the still defunct band The Mavericks, brought on Michael on his last two solo albums before The Mavericks reunited. Guerra transitioned into The Mavericks and is now an integral part of the band.